OK, so you’ve negotiated an IRS Installment Agreement for your IRS tax liability, and can finally breathe easy because you will not have to deal with your Revenue Officer anymore. Time to celebrate, right? Not so fast. IRS employees frequently tell me that the vast majority of Installment Agreements default before the balance is paid in full. Recall that a taxpayer’s obligations under an IRS Installment Agreement are pretty simple: pay your current taxes on time, file your tax returns on time, and make your installment payments faithfully. However, due to IRS practices and resource deficiencies, there is quite a bit more to it than compliance and faithful monthly payments. This is especially troublesome because the IRS makes it more difficult to get a new Installment Agreement after a taxpayer has defaulted. For this reason, many taxpayers who negotiated an installment agreement with the assistance of a professional elect to keep the professional engaged for the purpose of monitoring the Installment Agreement. A good pro can often identify indications that an agreement is on its way to default before the Notice of Default is issued, and can correct the situation before any damage is done. When an IRS Installment Agreement is in default, the IRS issues Notice Number CP523. This notice advises you that the IRS intends to terminate the IRS Installment Agreement in thirty days because you failed to live up to at least one of the requirements. On the left-hand side of the first page of the notice, it will list the reason for the default. Failure to respond to the Notice of Default, and to convince the IRS to reinstate the agreement within thirty days will cause the case to return to Collections, and require that the taxpayer undertake the entire Installment Agreement negotiation over again. Furthermore, once the agreement defaults, the taxpayer is typically at significant risk of enforcement. This, obviously, is not a good situation. If you ask me, the main reason that many IRS Installment Agreements default is because IRS Collection personnel routinely push taxpayers into monthly payments that cannot be sustained. Revenue Officers have many tricks to extract the highest possible payment from a taxpayer with a liability. One of these tricks is to take an income and expense sample that allows them to conflate the figures in the IRS’ favor, without accounting for the true financial condition of a business or individual. For example, let’s say you’re a landscaping company. In most parts of the country, your cash flows are going to be healthy in the summer, and terrible in the winter. But Revenue Officer Whatshername is only interested in looking at the summer figures, and requires a huge monthly payment, every month of the year, based on how things look for half of the year or less. You knew all along that you would never be able to make the monthly payments in the winter while keeping up with all of the other expenses. Nevertheless, you agreed to the terms because you were terrified that Whatshername would shut your business down if you didn’t sign the agreement. Another common IRS tactic is to agree to small initial payments, but program increases into your Installment Agreement, as you pay off other obligations. The Revenue Officer does not realize, or care, that investment is almost constantly necessary in order to keep a business viable. So Whatshername starts you off at an affordable $500 per month, but requires an increase to $1500 when you pay that truck off in a few months, and another increase to $3k when you pay off your line of credit next year. What the Revenue Officer refuses to acknowledge is that the truck you pay off in a few months is a clunker, and will not be able to perform the work needed when it’s paid off, so you’ll need to buy a new one, and that the line of credit will need to be extended because you have an account receivable who stiffs you and you have to make ends meet. Again, the IRS is not flexible or realistic, so your agreement defaults. Let’s say you navigate all of the usual tricks for extracting unrealistic IRS Installment Agreements, and the Revenue Officer grants an Installment Agreement that you can actually afford, which doesn’t require increasing payments. This should work out fine for you for the time being. However, the IRS can require periodic reviews of your updated financial condition with an eye towards increasing your monthly payments in the event that your cash flow has improved. A logical and reasonable person would expect the IRS to request those updated financials in time for a taxpayer to complete and submit them prior to the deadline. I always tell my clients, “Never expect the IRS to do things in a logical or reasonable manner.” Instead of requesting updated information, the IRS may simply issue an Installment Agreement Default Notice, stating that the reason for the default is due to your failure to provide the updated financial information they requested—when in fact, updated financials were never requested! All the same, your Installment Agreement is now facing default, and, unless reinstated, will be terminated within thirty days. In addition to all of the previously stated reasons for an IRS Installment Agreement to default, I have seen a number of flat out ridiculous defaults in my time as a tax professional. I had one client who faithfully made all Federal Tax Deposits and Installment Agreement payments via the IRS’ Electronic Federal Tax Payment System, or EFTPS. As instructed, he applied his Installment Agreement payments to the earliest period of liability. There came a time that he had nearly fully paid that period, so his monthly payment was split between that, and the next oldest. The IRS computers did not see a whole monthly payment on the oldest period, and this caused a default. I have had other clients who sent checks for their monthly payments, but the IRS applied them to periods other than the oldest. Again, default. Another client accrued a liability of less than $20.00. Default. A Revenue Officer failed to include one of the periods of liability in the IRS Installment Agreement paperwork. Default. Another Revenue Officer failed to input a client’s financial statement on the IRS Computer System. Default. Those are just a sample off of the top of my head. Sometimes, it is hard not to think that the IRS intends to cause Installment Agreement defaults. So what should you do when you receive those Default Notices? First, hire a professional tax resolution services company. An attorney with significant experience dealing with the Collection Division of the IRS knows the best methods to increase the chances that the agreement will be reinstated, and further understands the appeal rights and deadlines that can be the difference between success and disaster. Keep in mind that the stakes are higher now than they were the first time around, as the chances of enforcement increase while the chances of getting approved again for an Installment Agreement decrease. Brave souls who choose to roll the dice and proceed without professional assistance should call IRS Automated Collections at 800-829-3903. There is a chance that you will land with a helpful operator (after a lengthy hold-time) and that person will be able to identify an IRS mistake and reinstate the Agreement. There is a better chance that they will ask questions that will make you wish you had an attorney speaking to them on your behalf. Second, continue to pay all of your current taxes in full and on time. Your chances at another IRS Installment Agreement vastly increase if you have not accrued any new liability since the Installment Agreement was approved. Third, pay all initial demands for new periods of liability (delinquent periods subsequent to the periods that were included in the Installment Agreement) within ten days of the demand notice. Again, the worst thing you can do is accrue new periods of liability. Fourth, if possible, catch up on any installments that you missed. If you “cure” everything you did wrong that caused the default, your chances of reinstatement or approval of a new Installment Agreement will dramatically increase. 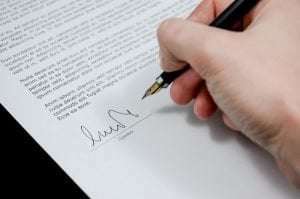 Fifth, even though your agreement is in default, if possible, continue to make your IRS Installment Agreement payments each month, or at least some payment toward the back taxes. If it is impossible to “cure” all of the shortcomings, expect a greater challenge in getting a new agreement approved. If your tax pro is more of a tax generalist–such as most CPAs, enrolled agents, and attorneys–seriously consider hiring a professional whose entire practice consists of representing taxpayers who are in collections. Many tax resolution specialty firms, such as my firm, Fortress Financial Services, offer a free consultation during which you can ask questions and determine whether representation could be beneficial to your specific situation. If you have a question or do not see the service you need listed within this site; Fortress Financial Services, Inc still may be able to help you, please feel free to contact us! About Peter R. Brantley, Esq.